Pretty little layers of gold and sparkle! 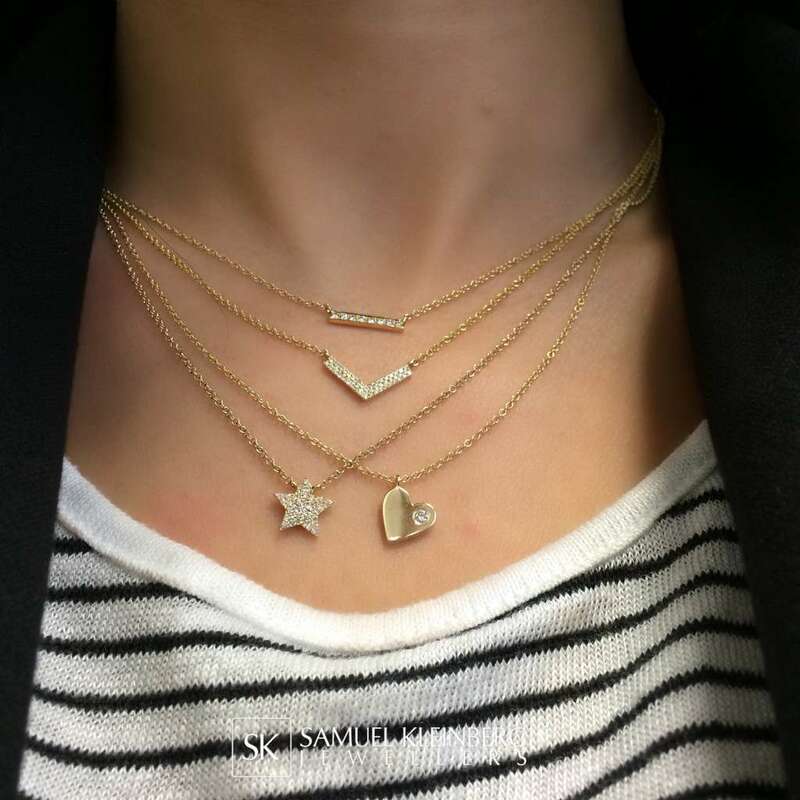 These diamond and gold pendants are perfect for layering. Can be ordered in white, yellow or rose gold.